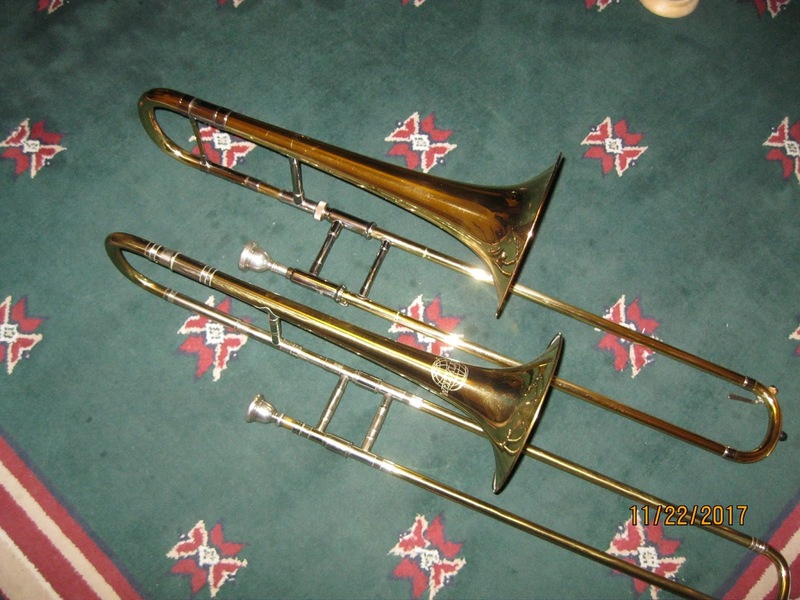 Hello trombonists! Any of you know anything about this instrument? I have not been able to locate much on the web. Made in or near Markneukirchen by the DDR conglomerate Weltklang, possibly as late as mid-1980's. It has a very small dual bore, around .440/.460, no leadpipe, no bell nut, no water valve, and minimally braced. And a tight scratchy slide. 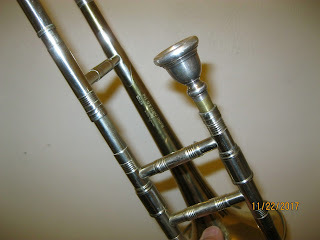 I believe the mouthpiece is original; it seems a perfect fit, small diameter and funnel-shaped. 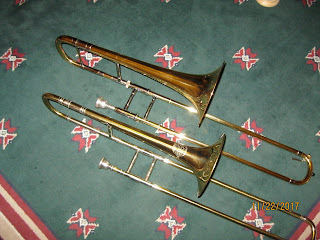 The horn has a clear, elegant sound and is very easy to overpower. I think it would be appropriate for Mozart Requiem, most choir accompaniments, maybe Brahms Symphonies. Especially with small ensembles. Shown here beside my Yamaha for scale. Paul....call Glenn A...in the area through Sept 20th 2018.